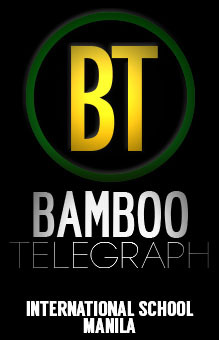 Bamboo Telegraph is ISM’s online high school publication, currently consisting of over 40 staff members. We publish a range of both ISM-centric and global issues that impact our community across our four sections for ISM students, faculty, and alumni, and also provide coverage of IASAS events hosted at our school through yearly IASAS bulletins. We are also responsible for the popular Humans of ISM page which aims to foster a greater sense of community and connection. Our dedicated writers, editors, photographers and illustrators strive to consistently produce high quality work with a fast turnover rate, and promote Bearcat spirit and unity through their contributions. Enjoy the article about 2014 XC , day 2 5K race! However, please correct the girl’s 2nd place runner’s name, it should be April C., not Alice! Hello, how do I get in touch with the bamboo telegraph. What’s your email address pls?